Seriah speaks with Laird about his latest book in the series tracing ancient cosmology, this time dealing with the Maori culture of New Zealand. Outro Music is Craft of Unknown Origin with Dream Another Dream. In this two part interview, we discuss Laird Scranton's latest book, Seeking the Primordial: Exploring Root Concepts of Cosmological Creation. This book is basically the background to a lot of what Laird has been researching, and it deals with the ancient concepts that he has unearthed about how reality forms, and the grand cycles of time and space. Outro music is A Hidden City by Jaan. In this two part interview (which Patreons got all of right away), we discuss Laird Scranton's latest book, Seeking the Primordial: Exploring Root Concepts of Cosmological Creation. This book is basically the background to a lot of what Laird has been researching, and it deals with the ancient concepts that he has unearthed about how reality forms, and the grand cycles of time and space. Outro Music by Don O'Malley "The Bus Going Home"
We sat down with Laird Scranton and John Anthony West at John's home to talk about a whole array of things, starting with what started them on their paths of research, moving into some concepts of reality, Egypt (of course), lost civilizations, and much more. We also discuss the latest incident with Graham Hancock and Zahi Hawass, which if you missed it, Graham recaps here. Laird also drops some bombshells about his upcoming work near the end. We are very grateful to have been able to sit down with both of them, and for John's extensive hospitality. It really was an honor to be able to sit and pick their brains for a few hours. We sat down with Laird Scranton and John Anthony West at John's home to talk about a whole array of things, starting with what started them on their paths of research, moving into some concepts of reality, Egypt (of course), lost civilizations, and much more. We also discuss the latest incident with Graham Hancock and Zahi Hawass, which if you missed it, Graham recaps here. Laird also drops some bombshells about his upcoming work near the end. We are very grateful to have been able to sit down with both of them, and for John's extensive hospitality. It really was an honor to be able to sit and pick their brains for a few hours. Video Version Below. John Anthony West (born 1932 in New York) is an American author, lecturer, guide and a proponent of Sphinx water erosion hypothesis in geology. Influenced by R. A. Schwaller de Lubicz, in 1993 his work with Robert M. Schoch, a geologist and associate professor of natural science at the College of General Studies at Boston University was presented by Charlton Heston in a NBC special called “The Mystery of the Sphinx” that won West a News & Documentary Emmy Award for Best Research and a nomination for Best Documentary. The documentary contends that the main type of weathering evident on the Great Sphinx and surrounding enclosure walls could only have been caused by prolonged and extensive rainfall during the time period from 10,000 to 5000 BCE and was carved out of limestone bedrock by an ancient advanced culture (such as the Heavy Neolithic Qaraoun culture). This challenged the conventional dating of the carving of the statue circa 2500 BCE. West suggested that the Sphinx may be over twice as old as originally determined, whereas Schoch made a more conservative determination of between 5000 and 7000 BCE. Laird Scranton is an independent software designer from Albany, New York who writes about ancient mysteries, cosmology and language. His work includes articles published in the University of Chicago's Anthropology News academic journal, in Temple University's Encyclopedia of African Religion, and in the Vassar Quarterly Magazine. His book "The Science of the Dogon" was taught at Colgate University under the title "Hidden Meanings: A Study of the Founding Symbols of Civilization." He is featured in John Anthony West's "Magical Egypt" documentary series and in Carmen Boulter's "The Pyramid Code", a series broadcast by the Documentary Channel. He has been interviewed on a variety of radio programs around the world including Coast-to-Coast AM and Red Ice Radio in Sweden. He has presented at conferences on Ancient Mysteries including Walter Cruttenden's annual CPAK (Conference on Precession and Ancient Knowledge) Conference, the A.R.E. Mysteries Conference, and the Paradigm Symposium. Point of Origin: Gobekli Tepe and the Spiritual Matrix for the World's Cosmologies by Laird Scranton is one hell of a deep exploration of our ancient past. Laird takes a path no one else has tread with this material, he makes connections in the symbolism, cosmology, myths, and more of various different cultures, and shows their commonality in the ancient path. The more he explores this, the more connections become relevant. He can demonstrate, pretty clearly, that various cultures around the world all share a common group of symbols and language. These relate to cosmology and science. These were civilizing factors, that over time have become distorted. Laird argues that the Dogon tribe have one of the most pure forms of this teaching. There are also connections to reality, how they see the world and creation, multiple dimensions, the structure of matter, and what else may be out there. The first part of the book covers Laird's previous work. There is some new material covered as well, but it is necessary for anyone who hasn't read the previous books. Then he gets into Gobekli Tepe, and how it may represent a center from where all these different cultures diverge. Or one of them, anyways. This book is very deep in the material it covers, and very unique in so many ways. Laird Scranton stands alone in this work, he has brilliantly deciphered evidence of something very important in our distant past. The meaning of which is profound. A must read. Laird Scranton joins us to talk about his latest book, Point of Origin. 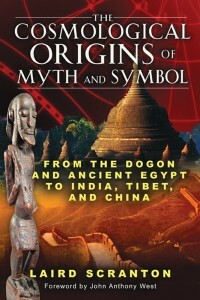 This is the fifth in his series of books, tracing the true origins of civilization through symbols and language. Each book is more fascinating than the last, and no one is doing the work Laird is doing! This is a very deep conversation at points. Laird Scranton is an independent software designer from Albany, New York who writes about ancient mysteries, cosmology and language. His work includes articles published in the University of Chicago's Anthropology News academic journal, in Temple University's Encyclopedia of African Religion, and in the Vassar Quarterly Magazine. His book "The Science of the Dogon" was taught at Colgate University under the title "Hidden Meanings: A Study of the Founding Symbols of Civilization." He is featured in John Anthony West's "Magical Egypt" documentary series and in Carmen Boulter's "The Pyramid Code", a series broadcast by the Documentary Channel. He has been interviewed on a variety of radio programs around the world including Coast-to-Coast AM and Red Ice Radio in Sweden. He has presented at conferences on Ancient Mysteries including Walter Cruttenden's annual CPAK (Conference on Precession and Ancient Knowledge) Conference, the A.R.E. Mysteries Conference, and the Paradigm Symposium. China's Cosmological Prehistory; The Sophisticated Science Encoded in Civilization's Earliest Symbols is the fourth in a series by Laird Scranton. With each book, the work he lays out becomes more and more intriguing. In the past he has shown connections between the Dogon Tribe, Egypt, ancient Hebrew texts, and India and Tibet. Laird works with the symbols. It's not always the most exciting work, but the implications are important. In looking at the oldest versions of glyphs and symbols, Laird reveals that so many of these ancient cultures have similarities that can not be put down to mere coincidence. Often the symbols and language have a dual meaning that is not instinctive, and yet he finds that dual meaning crossing ancient cultures. The structures of the stupa and yurt across cultures seem to contain similar ideas. In the end it all suggests one master culture whose ideas were dispersed across the world at some point in great antiquity. Whether that is due to a culture disintegrating due to natural disaster, and the survivors retaining some of the knowledge and language, or whether it was taught to them, the connections are there, and they are deep in the past. Laird is set to continue this work in his next book, Point of Origin. Laird's unofficial website can be found here. Who were the original researchers of the Dogon? The Dogon Creation Story and it's connections to modern science. The role of Sirius in their mythology. The dual meaning of symbols. How they retained the purity of their symbolism. Connections to Quantum, String, and Torsion Theory. What may have happened to Mars. The change in the length of the year. Characteristics of Venus that still resemble that of comets. Why he was attacked and the lengths his attackers went to.